Republican Gov. Charlie Baker, right, and Democratic challenger Jay Gonzalez wait to be introduced prior to a televised debate at the studios of WGBH-TV in Boston on Wednesday. Gov. Charlie Baker and his Democratic challenger, Jay Gonzalez, debated on Wednesday night for the second time — and with less than three weeks to go until election day. They disagreed about transportation, education and health care — and how to pay for it all. But their biggest argument was over Baker's support of fellow Republican Geoff Diehl, who's running to replace U.S. Sen. Elizabeth Warren. It was the most contentious moment in the debate, sponsored by WGBH. The moderators asked Baker about a pledge he made a while ago: to support the entire GOP ticket, which would include Diehl. Diehl co-chaired the Donald Trump campaign in Massachusetts, so this has prompted a bit of a balancing act for Baker, a moderate Republican with a number of liberal positions who did not vote for Trump. Gonzalez asked the governor if he planned to vote for Diehl. Baker said he hasn't made a decision. This provided an opening for Gonzalez, who has been trying to link the popular governor with Diehl, and by extension, to Trump. Gonzalez pressed, saying a vote for Diehl is a vote against women's rights, abortion and LGBT rights, all of which the governor supports. "Let's be clear," the Democrat said, "Geoff Diehl would be a rubber stamp for Donald Trump's agenda, and he would do everything in his power to undercut these very rights that you say you support. And you say you're clear on your position; it sounds like you're clear in asking the people of this state to send Geoff Diehl to the United States Senate." "I'm very clear on my position on these issues," the governor replied, "and I've worked very hard on them here in Massachusetts. And I'm going to continue to work hard on them here in Massachusetts." It was an awkward moment for Baker. It became even more so right after the debate, when he amended his statement, suggesting to reporters that he would vote for Diehl. "I simply misspoke, but I'm going to vote for the ticket," Baker said. "I think it's interesting that my opponent spent so much time talking about the U.S. Senate race and so little time talking about the race for governor." When Gonzalez spoke to reporters, he said the governor is trying to have it both ways. "He can't say he is for a woman's right to choose, for LGBTQ rights, and then ask the people of Massachusetts to support Geoff Diehl, and then waffle on whether or not he's going to support Geoff Diehl. Where does he stand?" This was the sharpest disagreement, but not the only one. As they did in their last debate, the two sparred about how to improve public transportation, education and health care. They offer contrasting visions of state government — perhaps best illustrated by their views on health care. Gonzalez favors moving to a single-payer system, which he says would cost less and do more. "If we do it thoughtfully," he said, "we will make sure everybody has access to the health care services they need. We will save money. And we will radically simplify the system. And the system we have today is not working for people, and it is not financially sustainable." But Baker says there's no evidence that a single-payer health system would work here — and he points to Vermont, which tried and failed to set one up. He calls Gonzalez's plan a hugely expensive case of "trust me." "And most people in Massachusetts, while they all have issues and concerns about the health care system, they think the health care that they get is appropriately among the very best," Baker said. "And why you would turn the whole system upside down, I just don't understand." Baker favors a cautious approach that could include a new effort to bring down the price of prescription drugs, but he'd keep the current system intact. Gonzalez advocates something much bigger and perhaps riskier. Executives at MGM Springfield have not made many political donations this election season, but they do have some favorite politicians. This year, ballot Question 2 asks Massachusetts residents to consider whether or not corporations have the same constitutional rights as people. 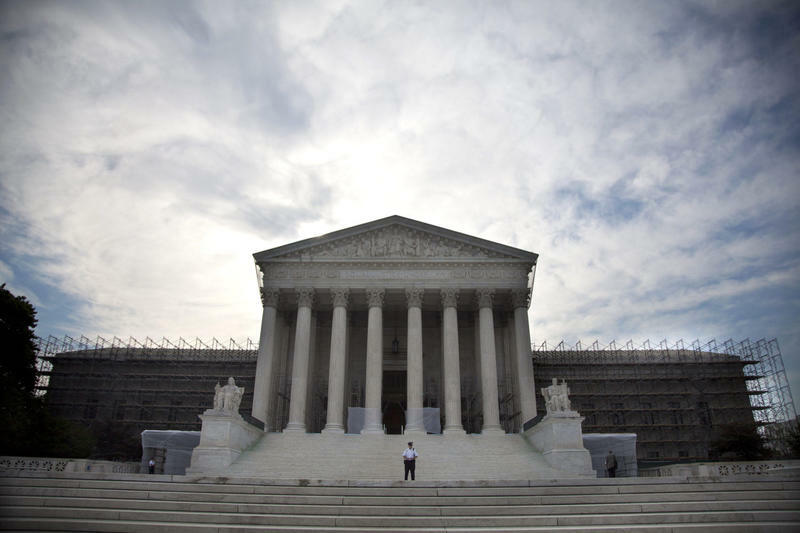 It’s been a much-debated topic in and out of courtrooms since as far back as the late 1800s, and more recently, following the Supreme Court’s 2010 decision in Citizens United v. Federal Election Commission. A battle of political endorsements is underway in the district attorney race in Berkshire County, Massachusetts.